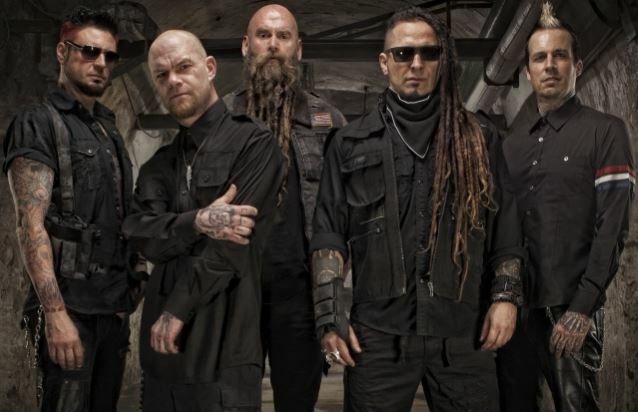 Five Finger Death Punch has been sued by record label Prospect Park, for failing to deliver a new record album and a greatest-hits collection. In addition, the members of the band are being accused of "shamelessly attempting to cash in before the anticipated downfall of their addicted bandmate." Prospect Park says in the lawsuit, which was filed on April 21 in California Superior Court: "Regrettably, with the encouragement and assistance of their entertainment lawyer and business manager, the members of FFDP have unequivocally repudiated their contractual obligations to permit Prospect Park to determine the recording elements of a new record and a greatest hits record. In doing so, the members of FFDP are shamelessly attempting to cash in before the anticipated downfall of their addicted bandmate. By this action, Prospect Park seeks to hold FFDP true to its obligations under its written recording contract, thereby allowing Prospect Park to obtain the benefit of the bargain it struck in that agreement, and at the same time, to prevent the band from disregarding the health and safety of a bandmate and destroying itself." According to the lawsuit, Five Finger Death Punch signed a four-album contract with Prospect Park in December 2012. The agreement between the band and the label states that the group "would not commence recording any" new album "any earlier than the date which is nine months after the release of the immediately preceding" album under the contract unless the company agreed otherwise in writing. Five Finger Death Punch's third album under the agreement, "Got Your Six", was released on September 4, 2015. According to the lawsuit, "FFDP is unambiguously prohibited from recording any portion of the required Fourth Album until at least June 4, 2016."